1991. Drives. Full MOT. Funky, functional & unusual! 1956. Garaged 35 years, for full renovation. Rare. 1973. Unfinished project with body looking sound. 1997. Low mileage, long MOT. High spec, appears to be in very good order. Longevity, reliability & blandness personified. 1964. Drives. Unfinished project. Rare. 1986. Drives, long MOT. Low mileage appearing to be in very nice order. Project that has been stored undercover. Project, SORN'd 10yrs, not running. 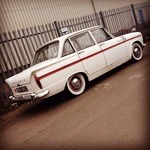 Recent restoration, clean MOT pass last year but MOT now expired, (exempt). Looks very clean and would probably make a practical everyday car. Expired MOT requiring work, I think this could be made into something quite special. Rover SD1 2.6 litre. Suffolk. £1K. 1986 manual. For recommissioning / lighter restoration. Rare r.h.d. 'fintail' W110 in need of full restoration. Wow, that's a rare car. Very worthwhile resto for a talented fabricator/ welder. Which aint me, alas. Agree, that Heckflosse W110 is a rare thing indeed. Imagine having had that brand new back in the day. No other car on the planet would have been close in terms of solidity and build quality! She is nice ain't she? And could be something very special. Top r.h.d versions selling for £40K now. As far as solidity / build quality is concerned, it was the first car to be scientifically collision tested for occupant safety. 2001. Drives well. MOT'd. Low mileage sound car for improvement. 1972. Project. Hard top included. 1997. Manual with leather. Needs recommissioning & some work for MOT. 1990. 2 owner car. Well specced. Garaged. Drives well. MOT'd. 1999. 3.2 litre auto project. Not driven in 5 years and possibly having significant engine problem. Dry stored and looking fairly sound. MOT history suggests long term neglect of maintenance. 1983. Restoration project. Off the road for 20 yrs. 1 of 13 left in UK. Iconic early 'hot hatch' infamous for rapidly corroding which means the survival rate is lamentable. The owner has done nothing with this car for 20 years, he's lost his storage so I imagine it could be bought for less than he's asking. 1983. Project. 1.6 litre. Last on the road circa 2014. Odometer looks to be stuck at just under 31.4K miles. I think this could be a very cool little van. ^^^ I think you would need the bed its gona take ages to get anywhere! I keep seeing these jags for no money, are they a bargain or money pit? I think its a trap I'm might get caught in soon! That Rover 827 looks lovely until you look under the bonnet! It looks like they just kept putting bits on until it worked! Always liked these and all there squareness and this looks astounding to be fair, shame about the 505 wheels though. Slow camper = a better chance to admire the scenery. i don't know of many classic / retro cars which aren't money pits; like most makes there are bargains to be had you just need to do your homework, read lots of ads very carefully and be prepared to move quickly with wad-stuffed pockets. If you're referring to the XK8 specifically the early V8s weren't terribly good engines but a lot of the problems were put to bed after rebuilds. They're cheap enough so you pays your money and takes your chance. If I had a spare £15K I would put an XKR convertible at the top of my want list and take that gamble. . . or would it be a Bentley Brooklands? 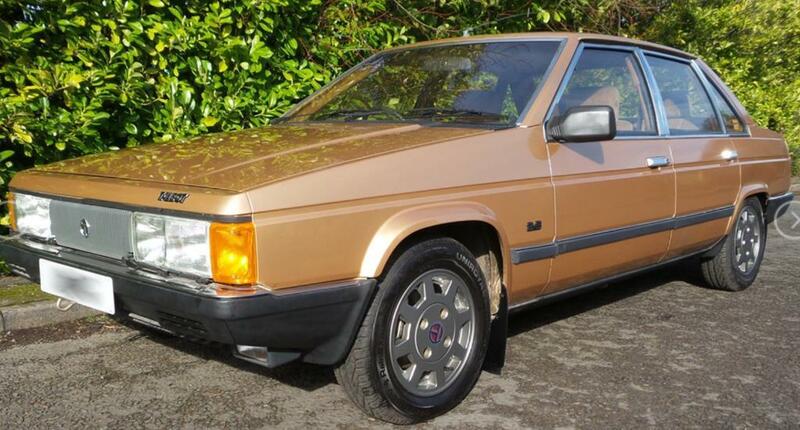 I liked that 827 for the money but grey leather is a pet hate.